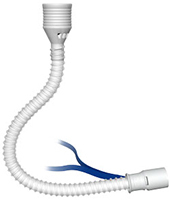 than a previous AIRVO™ tube. We’ve all seen it happen before. When warm, humid gas touches anything even a fraction of a degree colder than itself (i.e. dew point), it cools and generates condensate. 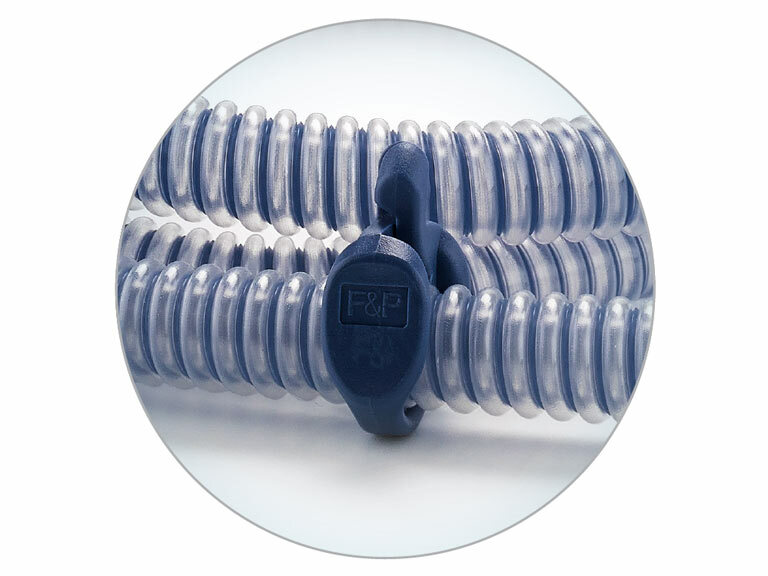 We see it often in conventional breathing tubes made of thin, dense plastic: their surfaces are easily cooled by the outside air, resulting in unpleasant “rain-out”. 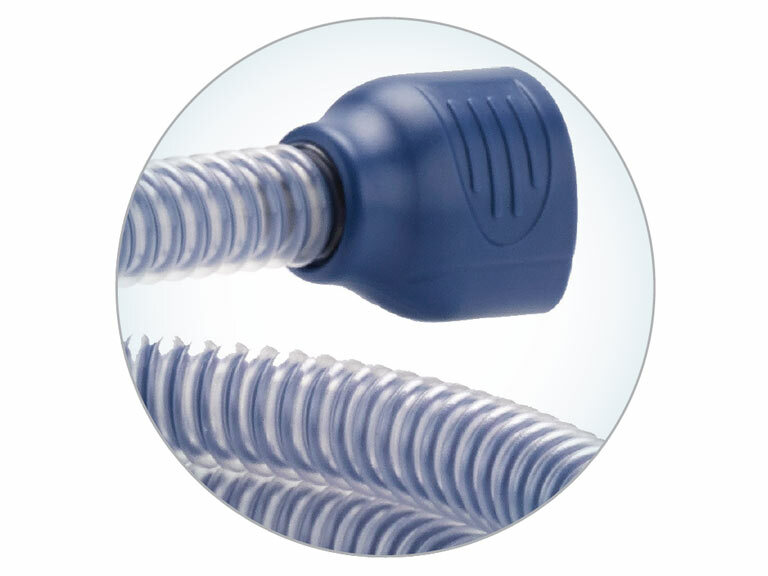 The heating spiral contains heater wire to warm the breathing gas inside the tube. The insulating spiral uses a bubble of warmed air around the breathing gas to shield it from the outside environment. 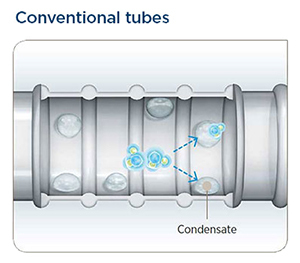 Like a double-paned window, the inside and outside surfaces of the tube are physically separated, to reduce cooling and helps maximize the level of humidity remaining in the gas all the way to the patient. 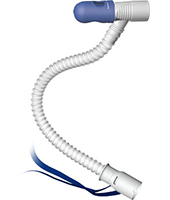 A nasal cannula designed with patient comfort and clinician confidence in mind. Next generation care for our smallest AIRVO customers. 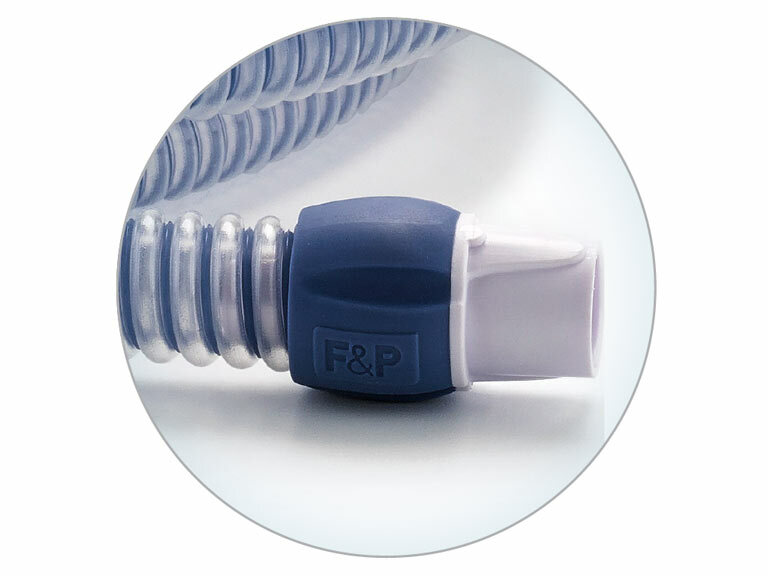 An interface designed to deliver optimally humidified gas directly into the tracheostomy. 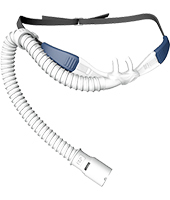 Connects to tracheostomy mask interface with a standard 22 mm medical taper. 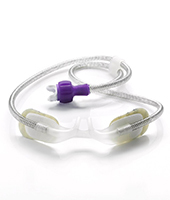 The molded clip attaches to clothes or bedding to allow positioning of the tube during use. Molded grips at both ends of the tube assist connection and disconnection. No external probes, cables or adaptors required. 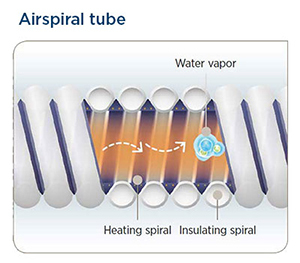 To receive a free sample of our Airspiral tube, please provide the following information.